I have a fun furniture transformation to share. My niece inherited a dresser from Aunt Lucille. Kate is a modern beachy girl. and I will hunt down the drawer pulls." and primer and a little bit of wood filler repair. I like to freshen them up. and then sprayed the interiors with a clear spray. That will help rid of anything musty. I painted the shell of the dresser semi-gloss white. because they are going to get a dip and drag paint treatment. at one of my other tutorials here. so that it has a really textural appearance. will be the grainy beach sand look I'm going for. that looks like a shell! create just the look we're going for. anchors the piece and gives it a really restful feel. adding a bit of coastal charm. This is so unique and beautiful! I need to learn how to refinish furniture like that! I've been checking out your other posts and you have some really great stuff. Keep up the good work! L-O-V-E it! This might be an idea for my hallway built in... What do you think? How lucky is Kate to have one of your wonderful beachy pieces of furniture? Great job Deb! 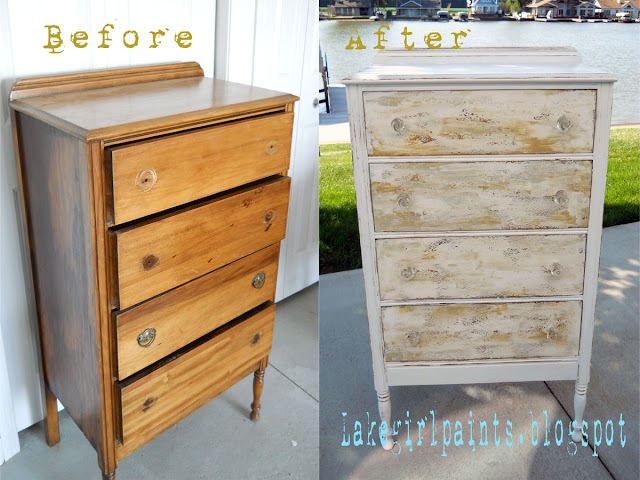 I adore this sweet Beachy dresser! Fabulous makeover! Would love if yOu stopped by my linky party to link it up! Wow... I love your style, Deb! ...and everything beachy ;-) Lucky Kate! Now that's appropriate for sure that you might connect to this post. Great Name! This turned out beautiful!! What a fun paint technique! I will definitely have to try it out! Following along now!! This is so cool! I love the colors! I'm going to go back and read your tutorial on this method! Do you know I love everything you make? i love this beachy look! going to pin this technique! As always, perfection! You truly do such beautiful work. I'm inspired every time I come for a visit. I love the way you take the time to give such detailed picture tutorials of your projects. I know how much extra time it can take to add all those little extras to make sure someone else could duplicate the look & it's part of what makes your blog so wonderful. Visiting tonight from POWW and following so I don't miss a thing! Very beautiful! This technique is fantastic! I am so in love!! Thank you for sharing a new technique too. Featuring at my party today, starts at 2, EST! I always appreciate your link parties! Nice piece! Love your technique. I have done a similar technique only I used a trowel. Thanks for sharing. I'm seriously going to try this soon. I love it! Deb, it's absolutely BEAUTIFUL!!! I am loving that cool card technique. Very fun. Love the hardware, too!! I appreciate your party link! That looks great and very unique. I appreciate your link party! W O W ! ! So gorgeous. I am in love with it!! 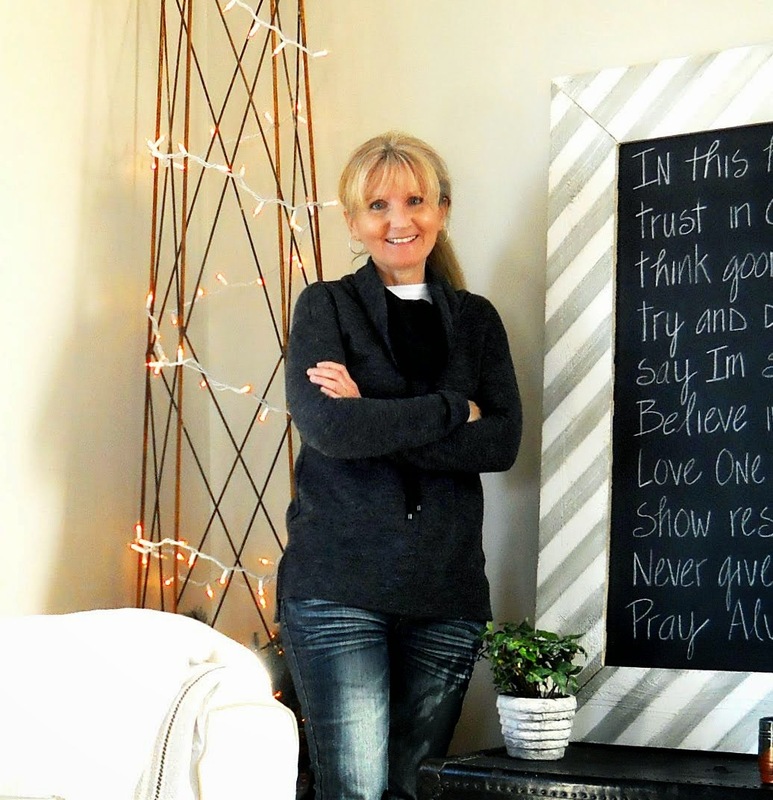 Found this project over at Savvy Southern Style. Interesting technique you used on the drawers. I'll have to check out your tutorial on that. And great tip about spraying the drawers with a clear spray. I've never thought about that before as a simple solution to smoothing out old drawers and keeping out old smells. I'll have to try it myself! I am sure auntie would love it!! cool effect and those knobs are perfect! Love it. Kate is a lucky girl to have a Aunt who can take the plain to amazing! It looks wonderful, am going to have to give it a try! It definetly looks beachy, the colors are perfect. I'm your newest follower and would love for you to visit me! Love the shell drawer pulls, our master bedroom is in all beachy and blue, very cooling and fresh! I really appreciate the encouragement girls! I have been so busy with the 4th celebration and family I haven't made it to my blog as much. Welcome to my blog home!